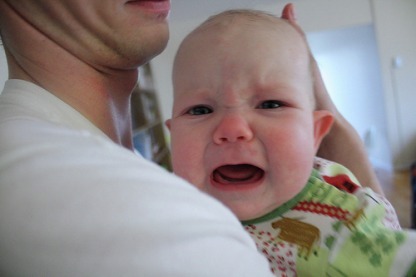 Last week I said to my husband, that I feel like I have this little baby that keeps crying and crying and won’t shut up! The baby is Ready Set Startup. And the crying is telling me it needs nurturing to keep it alive. The way to keep a startup alive is momentum. Momentum is the pulse of the business. And to create momentum in a startup, we do stuff. Lots of it! It is very much like having a little baby. When a business is new, nothing happens without the founder making it happen. The phone doesn’t ring, orders don’t come through the email, product doesn’t get created. It’s when we are doing lots of stuff to move our business forward that we feel like it is alive. [Tweet this] And when we are distracted by other parts of life, nothing seems to happen and the startup feels dead. Steve Sammartino made an interesting observation about momentum on his blog. In physics, momentum is the product of the mass and velocity of an object. As a startup, we don’t have mass, we are not big. Therefore we have to focus on creating velocity (or speed). That is moving as quickly as we can, making every effort to start up fast. So how do we use momentum to start up fast? Part of the excitement (and stress) of a startup is that we are working with uncertainty. We don’t yet know what is going to work, so we need to have a massive action plan – that is, throw lots of stuff on the wall and see what sticks. I did use the word ‘PLAN’ here. We want to be strategic about the stuff we do, so we need to think about it, but the purpose of doing lots of stuff is to test our assumptions about what will work and then build and improve on the strategies that do. This is something like having to make a path across the mud. We might lose it at times and get dirty going across, but we have our eyes on the destination. And as anyone who has crossed mud knows – we want to implement as quickly as possible. Not get bogged down, but keep moving forward. My strategy at the moment is to look at the data I am getting from my efforts, make a decision about what the next move should be and test it as quickly as possible. Then my business feels alive and so do I! What strategies are you using for creating momentum in your startup? I like the use of Physics terms in the post. When you mentioned momentum being the product of mass and a vector quantity, velocity, this would have a direction. When you’re following that direction, that’s where momentum is going to take you. Direction is, of course, absolutely crucial. In fact, it’s even more important than momentum. No point getting to the wrong place fast! 🙂 That’s why I really urge entrepreneurs to thoroughly evaluate ideas before they launch – to be certain that the idea is going lead in the direction they want. Direction is the key point of everything ones does in life. but after you have the right direction and thing not working out the way you expect it to be, then what do you do? Momentum is almost as important as direction when you are start a business. As a free-lance designer, I have a direction of what I wanted but my free-lance business as for now doesn’t have that momentum I need. “baby” stage of the start up, I like that ideal. Momentum is actually the start of every business. Good post Susan, momentum is key. I’ve found setting goals to be effective in keeping things moving towards them. Thanks Sean. I agree – setting goals is a key strategy. If applicable, collaborating with other more mature businesses can help create momentum .. also get exposure at local events .. I also find the more people I talk to about my biz, the more it keeps chuggin’ along. I find the same thing – the more I connect with and talk to people, the more opportunities open up. So be engaged with EVERYONE about your business. I don’t think momentum is key … NOT AT ALL. The baby analogy is good … momentum is like bowling with babies, or putting babies in catapults … get disgusted at the baby, HEAVE it as hard as possible at your customer and see if the customers like being splatter with hunks of baby. I think the focus on momentum is ENTIRELY wrong … momentum is an effect of success and nurturing and LOVE … when you try to ADD momentum or get distracted by looking ONLY at momentum, you’ve lost the LOVE. Mark, I agree with you. Love is the key to everything you do in life. Cause if you love something you don’t let it go easy, you try to fight for it. As a freelance graphic and web design entrepreneur, I have to remember that I love what I am doing even though as for right need, it at a slow start. I hear what you are saying Mark. And I agree. Expressing love and concern for others is a fundamental part of being human and it’s important to bring this quality with us to our business. I don’t think Love and momentum are incompatible or mutually exclusive though. Hmm where to start. As an experienced & successful entrepreneur i will add this. Love & Momentum is a bit premature. You can love a failing business into bankrutpcy so kill off bad ideas quickly & move on. My focus is identifying things my target customer don’t yet know they can’t do without. A start up can be like a baby & be demanding but you must balance & invest YOUR TIME & energy wisely. I have multiple start ups on the go and when one shows signs of taking off, I then feed its Momentum to gain scalability. We’re in the process of getting three startups (albeit low-tech) off the ground so I guess you could say we had triplets. Momentum is created in our little group by keeping the “main thing” in front of the two other partners who will head two of the companies and for myself, as lead sled dog, I’ve got to stay focused on the big picture as well as my own company. This go-round, I scrapped the idea of a business plan (too cumbersome for us) and instead developed what we’re calling the “Game Plan”–it’s a one-sheet reminder of the key things we have to do every day to move our businesses along and turn the concepts into concrete.